Serum glutamic pyruvic transaminase (SGPT) is an enzyme that is normally present in liver and heart cells. SGPT is released into blood when the liver or heart is damaged. The blood SGPT levels are thus elevated with liver damage (for example, from viral hepatitis) or with damage to the heart (for example, from a heart attack). Some medications can also raise SGPT levels. Serum glutamic pyruvic transaminase is also known as Alanine transaminase or ALT. Although SGPT is found primarily in the liver lesser amounts are found in the heart, skeletal muscle and kidney. Enzymes are catalysts which temporarily attach to a substance that enters a chemical reaction in the body. They lessen the amount of energy needed for activation thereby speeding up the reaction. Most enzymes are proteins that are present throughout the body, each with a unique function. A blood test is usually administered to a person to determine liver damage. The blood test will indicate the presence of liver enzymes in the blood. Under normal circumstances, these enzymes reside within the cells of the liver. But when the liver is injured for any reason, these enzymes are spilled into the blood stream raising the enzyme levels in the blood. Excess alcohol can increase SGPT levels in the blood. Continuous use will eventually result in permanent liver damage or cirrhosis. Steatohepatitis is a type of liver disease, characterized by inflammation of the liver with concurrent fat accumulation in liver. Typically seen in alcoholics, steatohepatitis also is frequently found in people with diabetes and obesity. Persons that are overweight may be prone to fatty liver which can cause SGPT to leak into the blood and elevate the blood levels. Persons that are inflicted with hepatitis are at risk for high SGPT. 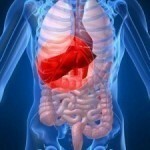 Hepatitis implies injury to the liver characterized by the presence of inflammatory cells in the tissue of the organ. Hepatitis A is an acute liver disease caused by the hepatitis A virus (HAV), lasting from a few weeks to several months. It does not lead to chronic infection. Hepatitis B is a liver disease caused by the hepatitis B virus (HBV). It ranges in severity from a mild illness, lasting a few weeks (acute), to a serious long-term (chronic) illness that can lead to liver disease or liver cancer. Hepatitis C is a liver disease caused by the hepatitis C virus (HCV). HCV infection sometimes results in an acute illness, but most often becomes a chronic condition that can lead to cirrhosis of the liver and liver cancer. There are certain medications that can cause abnormal enzyme levels in the body. These include pain relief medications such as acetaminophen, aspirin and ibuprofen; anti-seizure medications and antibiotics; cardiovascular drugs, cholesterol lowering drugs and antidepressants. Certain conditions which affect the pancreas can elevate SGPT in the blood. Pancreatitis is inflammation of the pancreas that can occur in two very different forms. Acute pancreatitis is sudden while chronic pancreatitis “is characterized by recurring or persistent abdominal pain with or without steatorrhea or diabetes mellitus.” Pancreatitis is often causes by excessive drinking of alcohol. Hi, I took my blood test yesterday and my SGPT result is 1028. I was diagnosed with hepatitis A during the 3rd week of October 2010 but now, the symptoms of hepatits A has worn off already (jaundice, stomach ache, itchiness). I gained back my appetite although occasionally, i still get easily tired. How or what can I do to decrease my SGPT level? Can I resume with my sport activities?